Nice pictures you guys !! 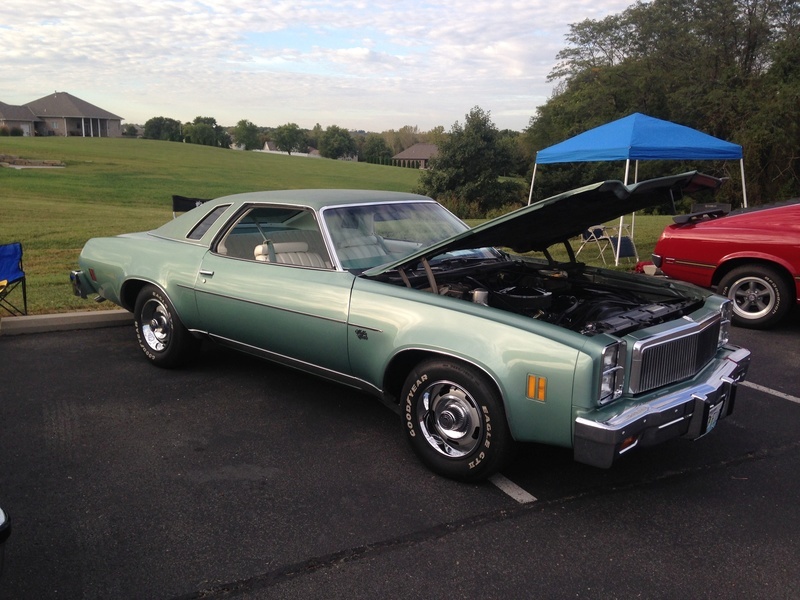 My '74 Malibu is "resting" in a shop hangar at the airport, and so is My '75 Elco. I need to take the steering column apart on the Malibu, to fix the stiff tilt movement. The Elco is in & out, depending on when I feel like driving it. It likes gas real well, and needs at least mid-grade to feed the Caddy engine.. Fun costs money ! The Malibu isn't much better...it likes gas too ! Gasoline, oh my friend gasoline. That's why I work at refineries. I get to make my favorite thing. Love that LS turbo. Good work. Although they are never done this one is for now. 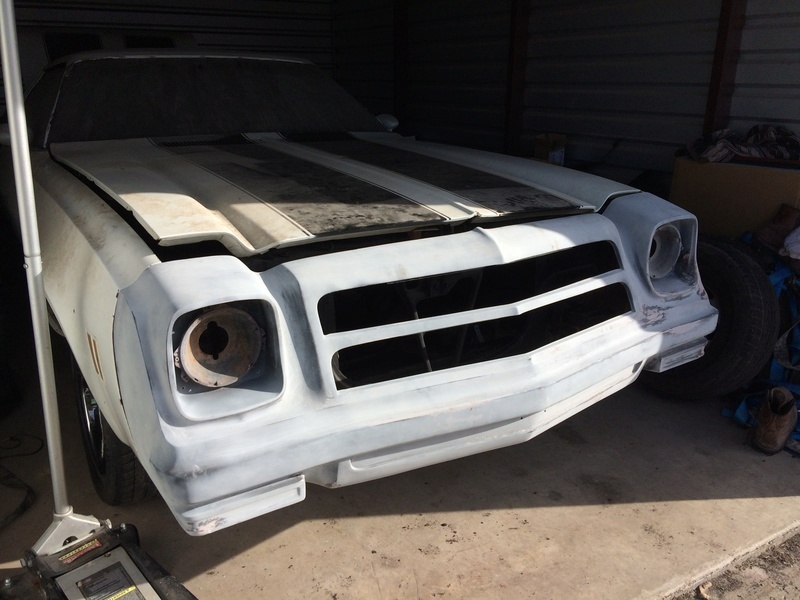 Building a Buick GS clone for the wife. That car looks like a lot of work. What more can you do to it? Looks very nice like it is. The plans on my project are on hold. There's a chance that I'll be moving in the near future, so I don't want to start gathering parts only to pack them up. Eventually it will get an LS (hopefully LY6) with 4L65E, 2" drop spindles, upgraded bushings, rear control arms, big sway bars, rear disks and 3:43 rear with Eaton limited slip. For now, she is a great driver. It drives good enough that I'm not sure I want to do anything to it at all. I've done a quite a few things since I brought her home. I've replaced the heater core, fixed a bunch of coolant leaks, rerouted the fuel line away from the heat, added a heat spacer to the carb (Edlebrock fuel boil issue) and tuned, replaced a wheel cylinder, replaced the idler arm, got the doors adjusted and shutting perfect and fixed a bunch of interior issues (mostly from previous owner). I would say it's 99.9% mechanically sound. 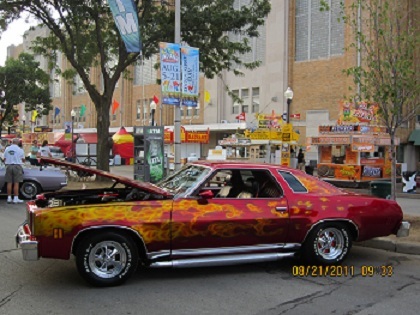 Cool car. LS engines are always a temptation. I have an LS7 in my garage and I keep thinking of using it in the Laguna. My 496 is getting real close to being finished so I must keep on that path. I did get the car out of my storage for a little bit today. I had a blown tire on it so I put the old wheels from my '70 Camaro on it to move it around. Oddly enough, they look pretty good on it. I might just use them for awhile until I get some other things finished up. I will still need new tire but that's expected. Working on the fiberglass front end I got from G3chevy. This took around 200lbs off of the front end of the car. YES!!! 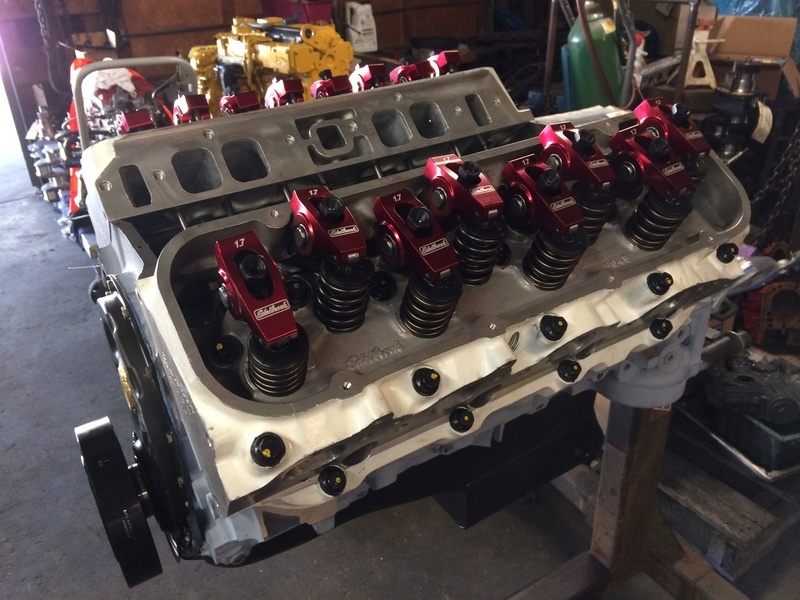 Short block and heads are assembled and all should be bolted together tomorrow. Exciting times. Looking good! Are those Trick Flow heads? You're making my sticker peck out there Kevin. Looking freaking awesome! Thanks, I guess fasrnur. I am excited too. 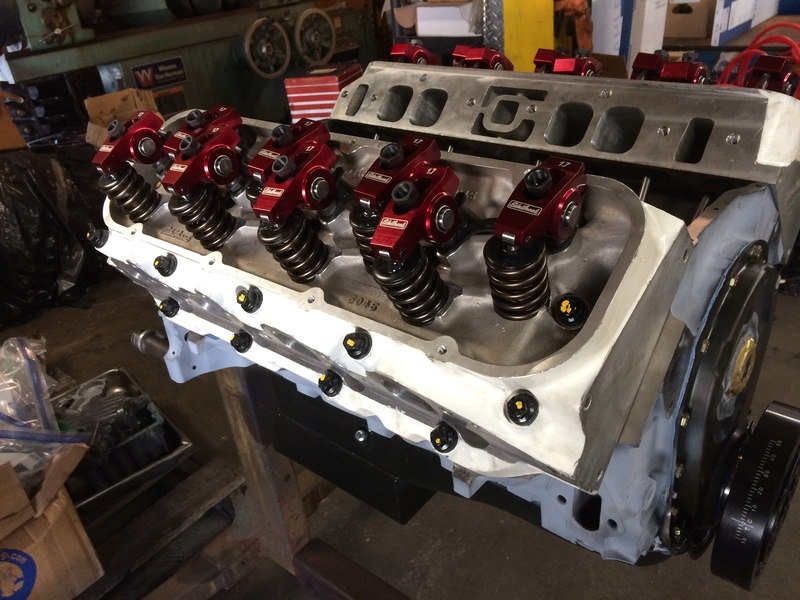 The heads are Edelbrock RPM Performers that have been ported and are now 300cc. 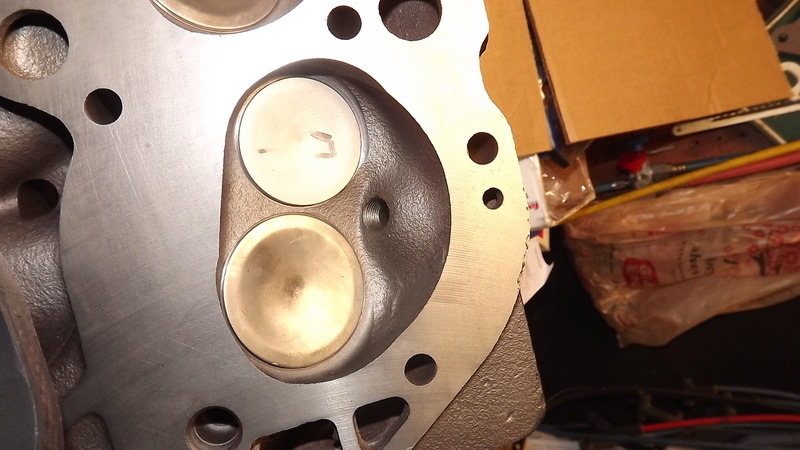 The forged pistons are just for these heads. 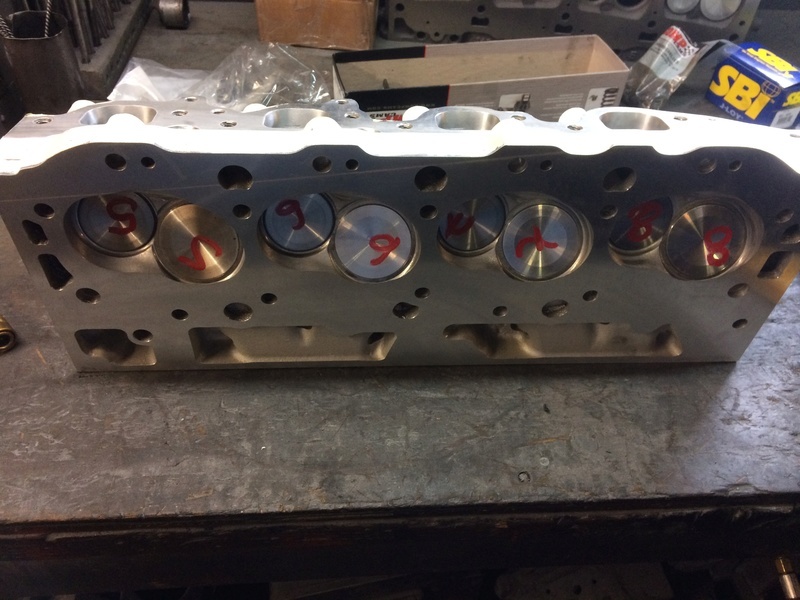 The pistons are at deck height so the compression ratio is right at 10:0 to 1. I actually got out and cleaned my garage so I can bring the car home this weekend. Bill, you are so invited to come and help me work on it. I will even pay you. I was gonna ask you if I could pay to come see it! Hey. I live in Sugar Land on the southwest side of Planet Houston. The engine is 496 cid. The heads are oval port with D port exhaust. 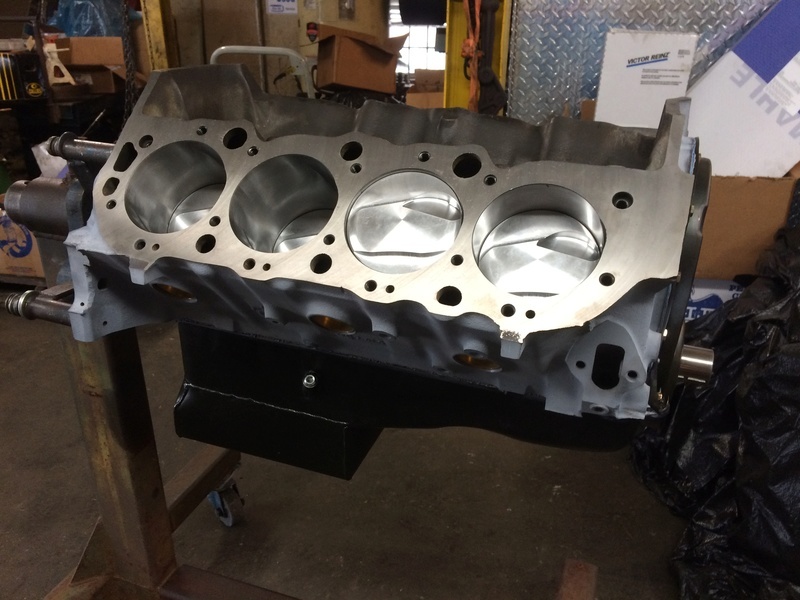 With the ported RPM Air Gap intake and the hydraulic roller cam it should have a really strong torque curve. Our cars are heavy so torque was my goal. Since I am going to use a 6-speed manual transmission I can get away with using a double pumper carb that will flow in the 880 to 950 cfm range. I have been talking with AED on getting the right one made for it. 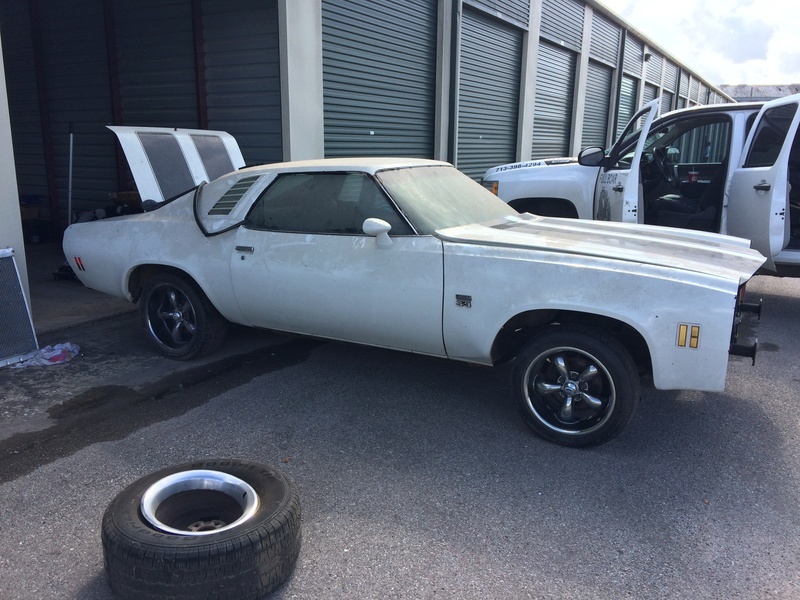 I wasn't building this car but it got put ahead of my 1970 Camaro I was working with. I had purchased all of my parts for it pretty much but my friend lost his shop and now it is in pieces so I started back on this Laguna. My budget is shot due to the Camaro. Can you say "Budget Build"!!! A 300cc head will be fine for under 6500. I just built a 496 with 2.25/1.88 valve 317 cc heads but this motor is to be shifted in the 72-7400 range and cross the finish line at 74-7500. Nice motor!!! Your pistons look very similar to what I am running. 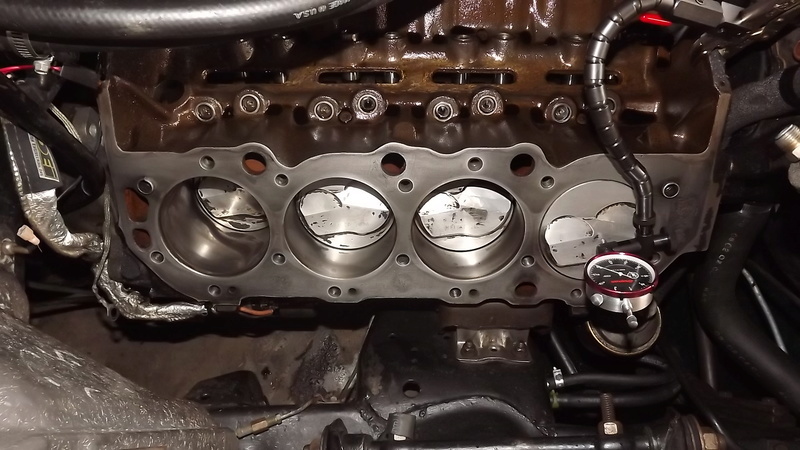 I swapped my heads a few years back for iron 781 castings with 2.19/1.88 valves installed. Milled to 114cc which worked out to 10.07:1. I picked them up on C.L. for cheap and had them freshened up. Couldn't quite swing the bucks for aluminum. With a 3.73 and .67 OD I've got 2150~2200 cruise RPM at 75 mph. Thats with the converter locked. Unlocked its about 2400. Almost like a 5th gear when locked. I'm going to overhaul another rear for it over the winter and thinking of going with 3.90's. Nice. I got lucky and found this set of heads on a bottom shelf of they machine shop. I got both heads complete for $700. That's how all this got started. Are you running a 4L80 in your car? That is a steal!!! a 200 4-r. Yes, they will live behind a BB when set up properly. The local Buick GN guy re-built it for me. I'm going on 8 yrs with it. Something else, If you haven't bought push rods you might want to get a adjustable checking one and get it right the first time. It's somewhat of a PIA on a BB.